Waiting For Ideas pays tribute to the iconic 'Industrial Belt' made by Off White---Virgil Abloh. Find out more on our website. Fast Fashion is not the only killing industry. Counterfeits have flooded the online market these last years. Following our first drop ‘F*** Fast Fashion’, we have been working on a tribute project. We pay tribute to the iconic Industrial Belt made by Off White///Virgil Abloh. 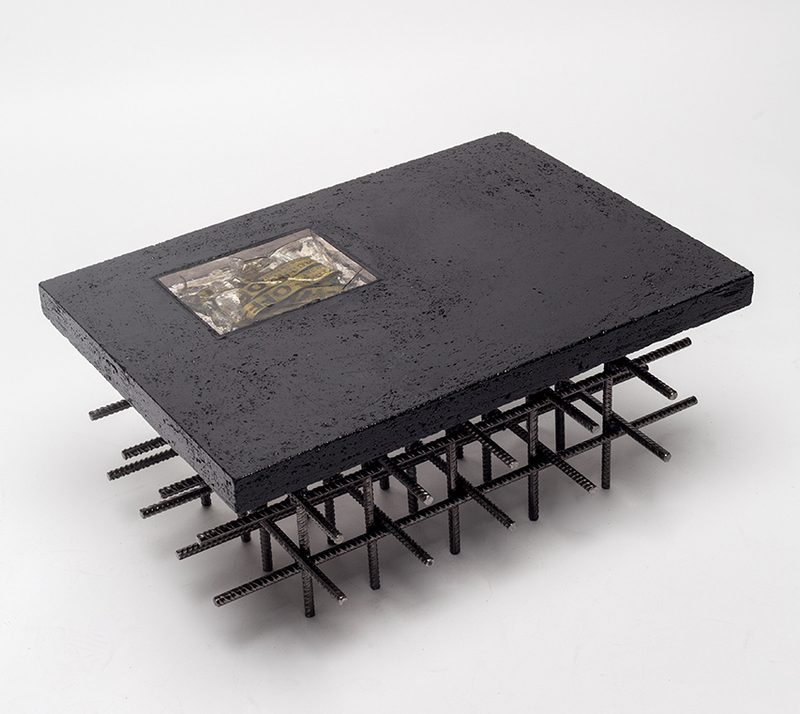 Influenced by modern cities, this low table is made of steel and concrete. We sealed that fake belt into epoxy as a reflexion of an era that is now ended. Entirely handmade in our creative studio, we focused on industrial materials that reflect what Virgil Abloh got most of his inspiration from: structural engineering and cities. Through this project, we wish to highlight how easily counterfeits can destroy designers’ creation. Bought on ebay, within 5 minutes for $9,77 (including shipping cost from China/Hong Kong/Taiwan), it is unfortunate how easily anyone can have access to fakes. We believe in what makes a product a beautiful artifact: design, quality and rarity.